Traditional incandescent lights are typically used for overhead lighting. Unfortunately, they use only 10% of their energy to produce light. The other 90% is released as heat, making incandescent lights a powerful power waster. Buy new bulbs. Compact Florescent Lightbulbs (CFLs) last 8-12 times longer than traditional lights. They’re slightly more expensive than incandescent lights, but their energy-saving impact is enormous. Over the span of just 6 months, a CFL costs half the price of an incandescent. The average office employee tosses more than 175 pounds of paper a year. Between patient forms and disposable cups, tree wasting is anything but paper-thin at dental practices. Pick paper wisely. You don’t have to completely eliminate paper from the office. Start small — set printers to automatically print double-sided. Purchase reusable cups and plates for the break room. Explore paperwork alternatives, too! Thanks to several apps, it’s easy for patients to fill out forms on tablets. U.S. offices waste billions of dollars per year by failing to properly shut down their computers each day. And think about all of the computers used in your office — front-desk computers, waiting-room PCs, monitors for digital X-rays, etc. Shut it down! Choose sleep over a screensaver — screensavers use just as much energy as an active screen. During the workday, set all computers to go to sleep automatically if they’re idle for 3-5 minutes. This cuts energy use by 70%! Finally, shut down all computers completely at the end of every day. Remember: Consumers appreciate eco-conscious companies. 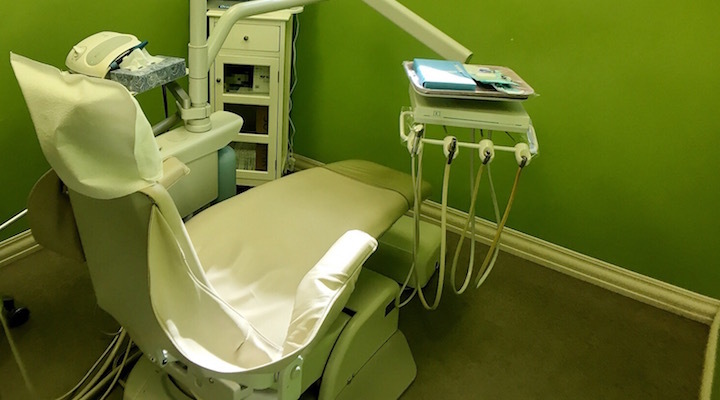 Whether your practice is light green, dark green, or somewhere in between, let your patients know. Once you’ve accomplished the sustainable starter steps, check out ecodentistry.org to take your go-green game to the next level.